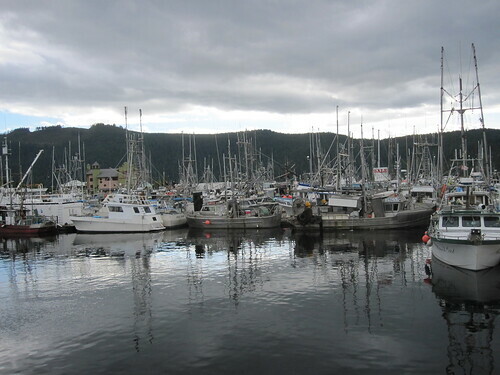 You’d be hard-pressed to find a Canadian community more passionate about fishing than Port Alberni, and right now they’re in a race to be named Canada’s Ultimate Fishing Town. The World Fishing Network is holding a nation-wide contest based on a voting system. The winning town will receive a $25,000 community donation to be used for enhancement initiatives. With steelhead, sockeye, chinook, coho salmon, halibut, ling cod and rock fish, there’s no shortage of abundance in the waters around Vancouver Island’s protected inlet town. Voting ends in little more than five days, so get your vote in now and help bring some much-needed funds to the community of Port Alberni. Having nothing against Port Alberni, I tried to vote for Steveston (and then Richmond) only to find out that neither made the cut. Yet.. Surrey did. Umm.. I’m not exactly sure, but where does one go fishing in Surrey? On the Fraser with rod & reel? Meh..